The Lunenburg Board of Trade Society is a non-profit organization founded and run by a group of volunteer business minded people. We are Sole Proprietors, Partnerships, Corporations, Associations, Societies and seasoned individuals, sharing our collective business experience and expertise. 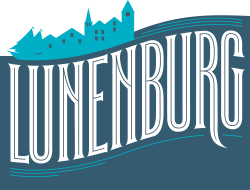 The Lunenburg Board of Trade shall be for the purpose of advancing commercial, industrial and civic interests of Lunenburg and area, based on the fundamentals of cooperation and communication. The Board is nonpartisan, non-sectional, and non-sectarian. We are a Board that is both driven and led by the membership so that the onus is not placed on a few individuals. We rely on the hard work and commitment of our volunteers to maintain operation. Revenue is generated through Board programs, membership dues, some government programs, and other fundraising efforts. Click here to see a copy of our By-Laws.